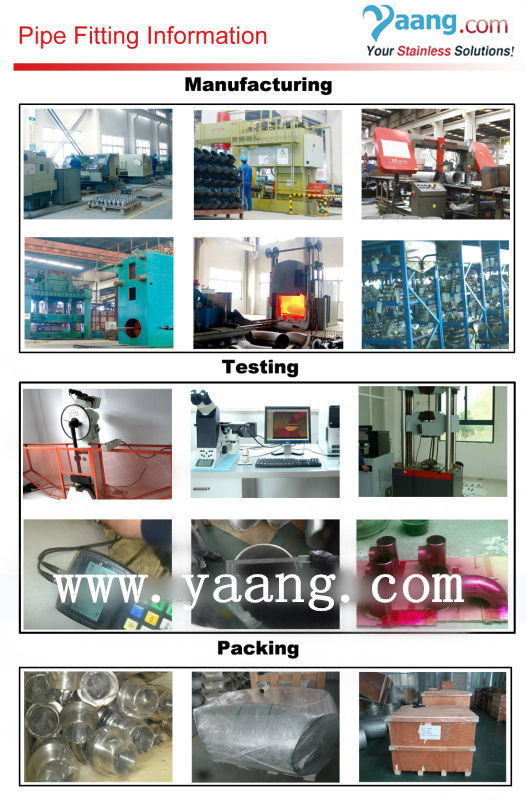 Standard: ASME/ANSI B16.9, MSS-SP-43, MSS-SP-75, EN/DIN, JIS B2311/2312/2313, ISO 3419, ISO 5251 etc. 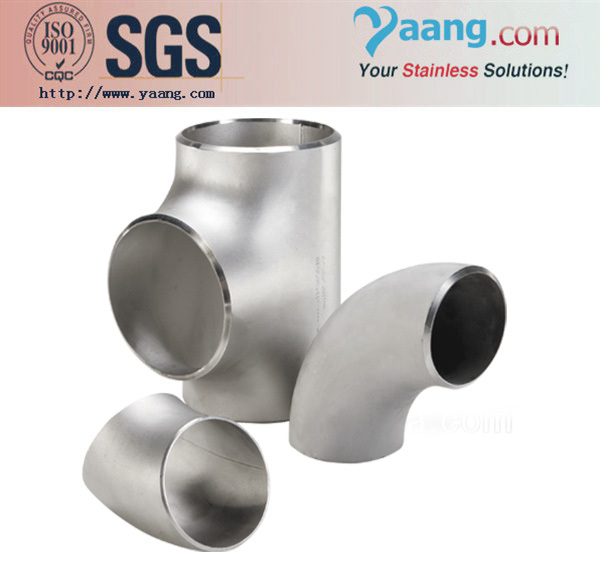 ▶Stainless Steel: 304/304L,316/316L,317L,321,321H,347,347H,904L,254SMO (W1.4301, 1.4306, 1.4948, 1.4401, 1.4404, 1.4571, 1.4438, 1.4541, 1.4878, 1.4550, 1.4845, 1.4539, 1.4547 etc.). 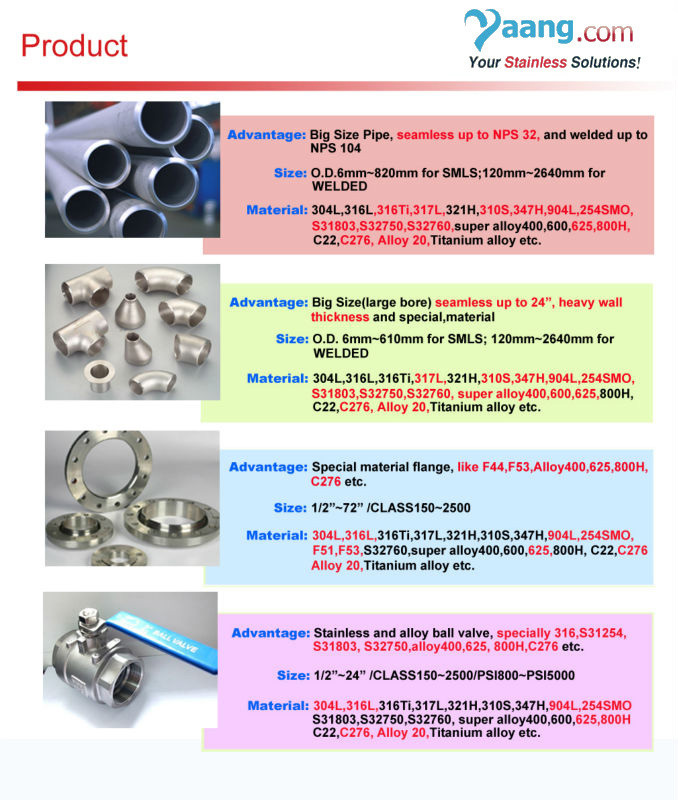 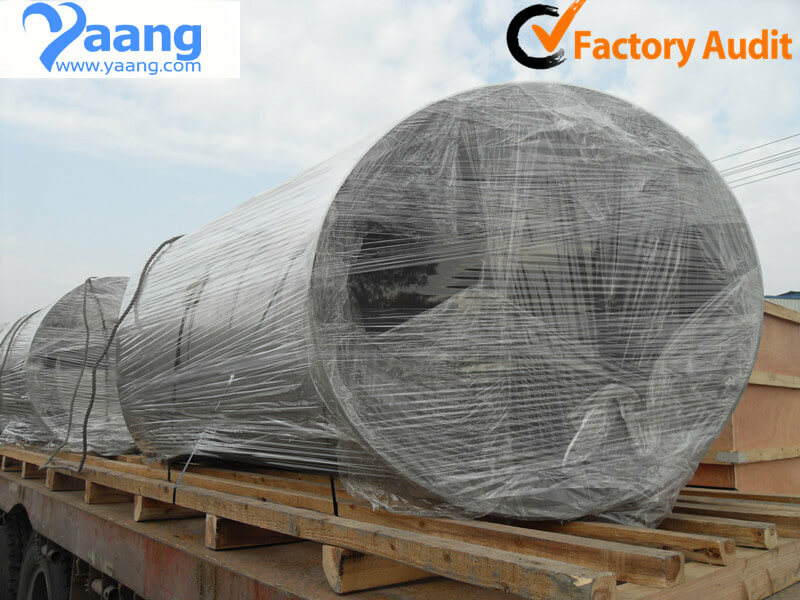 ▶Special Alloy: Monel 400, Inconel 600,625,Incoloy 800,800H, 825,Alloy 20, Hastelloy B3, C22,C276, 254SMO, Titanium alloy etc(w2.4819,2.4360,2.4361,2.4602, 2.4816,2.4851, 2.4856,2.4858,1.4959,1.4876, 1.4958,1.4563 ) etc..
ASTM A860(MSS SP-75) WPHY42, WPHY46, WPHY52, WPHY60, WPHY65, WPHY70 etc.